Pay the Examination Fee through Internet Banking/ Debit Card/ Credit Card etc. Bachelors Degree in any discipline with 60% aggregate marks; AND Chartered Accountant (CA) or Cost & Management Accountant (CMA) (erstwhile ICWA). Post Graduate in Hindi with English as one of the main subjects in Graduation or Post Graduation in English with Hindi as one of the main subjects in Graduation. Minimum 60% aggregate marks in post-graduation as well as in graduation. Minimum 3 (three) years experience of translation in a Govt. Organization/ reputed institution. Experience in the implementation of the Official Language Act will be preferred. 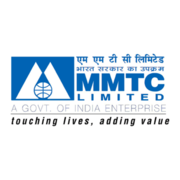 Eligible candidates may apply online at MMTC's website (direct link is given below) from 30 Jan 2019 to 20 Feb 2019 11:45 PM. Candidates log on to https://cdn.digialm.com/EForms/configuredHtml/1258/59600/Instruction.html.